Next Wednesday 23 October at 1.00 pm sees a 2012 registered McClaren MP4-12C up for auction at BCA Blackbushe. The British-assembled supercar retails for over £200,000 when new and is one of the most powerful road-legal cars available. It features a carbon fibre composite chassis and is powered by a mid-engined 3.8-litre V8, twin-turbo engine developing approximately 616 BHP delivered through a seven-speed seamless Shift dual-clutch gearbox. It boasts sophisticated driving technology sourced from the F1 world including brake steer and a host of other performance driving aids. The car goes from 0 to 60 mph in 3.1 seconds and has a top speed of 207 mph. 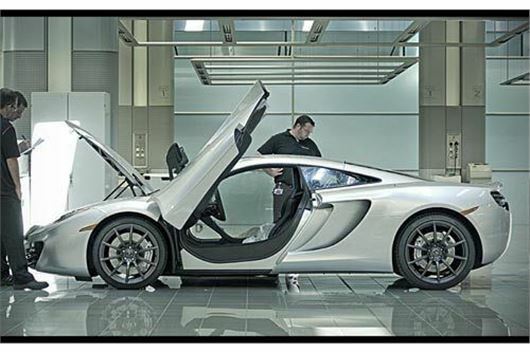 2011/61 McClaren MP4-12C, Ice Silver with Carbon Black leather, 3,600 miles £139,950. I'll offer £500 as a starter.